Reliance One in Irving, TX Named One of Best and Brightest Companies in Dallas / Fort Worth for 2019. Reliance One announced today that their Irving, TX office was named one of Dallas / Fort Worth’s Best and Brightest Companies to Work For in 2019. Reliance One accepted the award at the Winner Celebration held on January 28th at the Dallas Marriot Quorum. The Best and Brightest Companies to Work For competition highlights and honors organizations in the Dallas or Fort Worth area that show their commitment to excellent human resource practices and employee enrichment. Organizations nominated for this award are based on categories such as communication, employee education, work-life balance, and retention. “We are so proud of our team and their commitment to our clients and candidates. This year looks to be filled with growth for all our teammates”, said Greg Sawyer, Director of Business Development. Reliance One Inc. is a minority-owned, MMSDC-certified staffing corporation headquartered in Auburn Hills, MI, with additional locations in Bingham Farms, MI, and Irving, TX. Reliance One is focused on matching the ideal professional to a client’s specific needs for both long-term, short-term, or project-based positions (including temporary, temporary to direct, or direct). 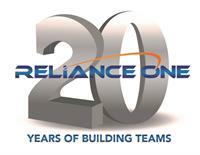 Our sales and recruiting teams can be reached at 248-922-4500 or resume@reliance-one.com.